Much has been written about the connection between the ideology and methods of Radovan Karadžić and the New Zealand mosque gunman Brenton Tarrant, who is accused of carrying out the Christchurch terror attack which claimed the lives of 50 Muslims praying at the Al Noor Mosque and the Linwood Islamic Centre. After Karadžić’s life sentence was issued by the United Nations Appeals Chamber for genocide and crimes against humanity he committed in Bosnia and Herzegovina, Refik Hodžić argues that most analysis has missed the concept which is key to understanding the link with Christchurch attack – dehumanisation. "It was [Serb] genetically deformed material that embraced Islam." Such characterizations ultimately enabled unimaginable cruelty to be unleashed by neighbours on neighbours. This is what normalized the killing of 102 children in my hometown, for example. I know who these child-killers are, I see some of them on the streets of Prijedor. It is utterly wrong to think of them as deranged psychopaths or crazies who were somehow driven insane by hatred, they were ordinary people, yesterday’s best friends, workmates, childhood buddies of their victims (Slavenka Drakulic captured this dimension well in “They would not hurt a fly”). The dehumanisation of Muslims implemented in a concerted effort by the Serb elite – political, religious, intellectual – and disseminated by the media conditioned the people who were to do the killing to see it as a necessary, dirty work that simply must be done if Serbs are to enjoy freedom free of “invaders”. The only way he was to achieve annihilation, to get his followers to erase any sign of Muslims’ existence in these communities, was to reach back into history for numerous examples of Serb suffering at the hands of the Ottomans or Ustashas. Relentless re-traumatisation of his own people was key to removing any doubts within a population that could not embrace such an exterminatory project just like that. After all we lived for decades under the ideology of “brotherhood and unity,” where communities mixed, especially in urban centres, to the point of melting together. Every such historic example of victimisation of Serbs at the hands of Muslims or Croats was used to fortify the basic notion that the only option Serbs have is to preemptively strike, but this time to go to the end and create a state in which they will not fear these traitors again. This is how extermination and genocide became acceptable tools in pursuit of a Serb state west of Drina, a political goal defined in the “Six strategic goals of Serb people in BiH” unveiled on 12 May 1992. The implementation of the first goal – separation of peoples, by force if necessary – required extermination and genocide (as per the candid admission of Ratko Mladić in the same session of the National Assembly of what was called ‘Serb Republic of Bosnia and Herzegovina”). The third goal – removal of Drina as a natural border between what was to become Republika Srpska and Serbia proper meant the destruction of Muslim communities in the river’s valley. Only through complete dehumanisation could you hope to achieve such goals. And that is where Karadzic’s legacy lies. He succeeded not in achieving his strategic goals (at least not completely as Dayton Peace Agreement created the Serb-dominated entity in Bosnia and Herzegovina), but in entrenching the dehumanisation so deeply that even today I will face a “progressive”, young educated person who will jokingly post songs like the one Tarrant listened to in his car on the way to the massacre. What, it is just a joke! would be the response if one brings attention to the genocidal call weaved into the lyrics. If you carry a Muslim name and engage in discussion on the underlying causes of war, you are likely to be told that we (Bosnian Muslims) are basically the spawn of Sultan Mehmed (the Ottoman conqueror of Bosnia) and thus deserve all we got ever since this conquest. When discussing how was it possible that extermination was normalized, how is it possible that in today’s Bosnia and Herzegovina we have people in power like Milorad Dodik (Serb member of BiH Presidency) who refer to muezzin’s call as “howling” that drives property prices down, or relentless revisionism and dehumanization of Muslims in the media, the go-to response is “we didn’t start the war, it started in 1941, 1918, 1389…” Yes, today, in 2019, this is still the justification for the virulent dehumanisation that now drives killers targeting Muslims globally, like Breivik and Tarrant. And this is why Karadžić’s legacy must be confronted in its most destructive form. Our collective goals must centre on how to humanize the dehumanized, how to restore some degree of normal communication that will acknowledge and reject this poisonous legacy. This can’t be done by adopting a victim mentality or equating all Serbs or Serb history with Karadžić’s ideology and methods. That is precisely what he wants and what the likes of Dodik perpetuate. The judgment of Karadžić is not a judgment of Serbs, despite the relentless effort by the current Serb establishment to convince their people otherwise. Tarrant being inspired by Karadžić does not mean he was inspired by Serbs. Claiming this would be dehumanisation in reverse and precisely what Karadžić aimed for in his quest for separation of peoples. This is why I reject any triumphalism in the Karadžić verdict. To me, it matters primarily because of the facts and evidence that it has established in the trial process, that can help us understand his methods and the extent of dehumanisation, so we can deconstruct and delegitimize it, discard it once and for all. He will die in jail, that much is certain, but I do not want to spend another minute thinking about what happens to him. He has been present in my life for far too long. But his sentence signals the beginning of a new era in the history of my country. If we are to have a chance at successfully confronting right-wing extremism which looks for inspiration in Karadžić’s crimes, we must first dismantle his legacy in Bosnia, at the source, where it has the most serious and tangible impact. And that is the most important value of the judgment for me. <h3>Much has been written about the connection between the ideology and methods of <a href="https://balkaninsight.com/2019/03/21/radovan-karadzic-leaves-a-legacy-of-cruelty/">Radovan Karadžić</a> and the New Zealand mosque gunman Brenton Tarrant, who is accused of carrying out the <a href="https://twitter.com/hashtag/ChristchurchTerrorAttack?src=hash">Christchurch terror attack</a> which claimed the lives of 50 Muslims praying at the Al Noor Mosque and the Linwood Islamic Centre.</h3> <h3>After Karadžić’s life sentence was issued by the United Nations Appeals Chamber for genocide and crimes against humanity he committed in Bosnia and Herzegovina, Refik Hodžić argues that most analysis has missed the concept which is key to understanding the link with Christchurch attack - dehumanisation.</h3> Dehumanising Bosnian Muslims to filth, spawn of Ottoman occupiers, traitors who sold the ancestral faith, vermin that needs to be annihilated and removed is Karadžić’s most devastating legacy. The degree of stripping Muslims of any human value is best illustrated in the statement of Biljana Plavsić, Karadžić's deputy and right hand, referring to Bosnian Muslims: <pre>"It was [Serb] genetically deformed material that embraced Islam. "</pre> Such characterizations ultimately enabled unimaginable cruelty to be unleashed by neighbours on neighbours. This is what normalized the killing of 102 children in my hometown, for example. I know who these child-killers are, I see some of them on the streets of Prijedor. It is utterly wrong to think of them as deranged psychopaths or crazies who were somehow driven insane by hatred, they were ordinary people, yesterday’s best friends, workmates, childhood buddies of their victims (<a href="http://slavenkadrakulic.com/">Slavenka Drakulic</a> captured this dimension well in “They would not hurt a fly”). 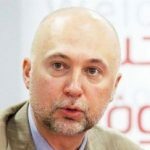 The dehumanisation of Muslims implemented in a concerted effort by the Serb elite – political, religious, intellectual – and disseminated by the media conditioned the people who were to do the killing to see it as a necessary, dirty work that simply must be done if Serbs are to enjoy freedom free of "invaders". Once he realised he had no democratic means to stop Bosnia and Herzegovina declaring independence, Karadžić made clear of what the intent is - for Muslims to disappear from areas claimed by the Serbs. In an intercepted conversation with a close associate from October 1991, Karadžić leaves no room for doubt: <pre>“Muslims will disappear, that people will disappear from the face of the earth if they start now. Our offer was their only chance. They will be up to their necks in blood and the Muslim people [in BiH] would disappear. In just a couple of days, Sarajevo will be gone and there will be five hundred thousand dead, in one month Muslims will be annihilated in BiH.”</pre> The only way he was to achieve annihilation, to get his followers to erase any sign of Muslims' existence in these communities, was to reach back into history for numerous examples of Serb suffering at the hands of the Ottomans or Ustashas. Relentless re-traumatisation of his own people was key to removing any doubts within a population that could not embrace such an exterminatory project just like that. After all we lived for decades under the ideology of "brotherhood and unity," where communities mixed, especially in urban centres, to the point of melting together. Every such historic example of victimisation of Serbs at the hands of Muslims or Croats was used to fortify the basic notion that the only option Serbs have is to preemptively strike, but this time to go to the end and create a state in which they will not fear these traitors again. Again, Biljana Plavsić captured in her guilty plea before the ICTY: <pre>“At the time, I easily convinced myself that this was a matter of survival and self-defence. In fact, it was more. Our leadership, of which I was a necessary part, led an effort which victimised countless innocent people. Explanations of self-defence and survival offer no justification. By the end, it was said, even among our own people, that in this war we had lost our nobility of character. The obvious questions become: if this truth is now self-evident, why did I not see it earlier? And how could our leaders and those who followed have committed such acts? The answer to both questions is, I believe, fear, a blinding fear that led to an obsession, especially for those of us for whom the Second World War was a living memory, that Serbs would never again allow themselves to become victims. In this, we in the leadership violated the most basic duty of every human being, the duty to restrain oneself and to respect the human dignity of others. We were committed to do whatever was necessary to prevail.”</pre> This is how extermination and genocide became acceptable tools in pursuit of a Serb state west of Drina, a political goal defined in the “Six strategic goals of Serb people in BiH” unveiled on 12 May 1992. The implementation of the first goal - separation of peoples, by force if necessary – required extermination and genocide (as per the candid admission of Ratko Mladić in the same session of the National Assembly of what was called ‘Serb Republic of Bosnia and Herzegovina”). The third goal - removal of Drina as a natural border between what was to become Republika Srpska and Serbia proper meant the destruction of Muslim communities in the river's valley. 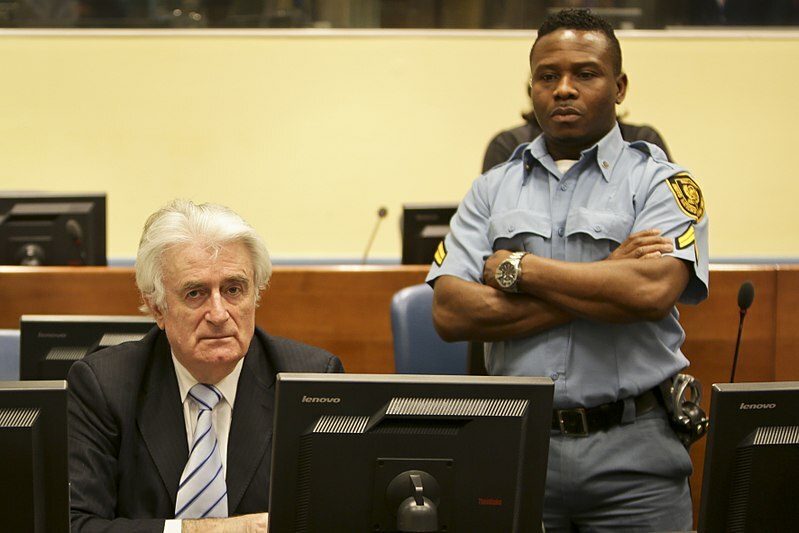 <h4>Karadzic's legacy</h4> Only through complete dehumanisation could you hope to achieve such goals. And that is where Karadzic's legacy lies. He succeeded not in achieving his strategic goals (at least not completely as Dayton Peace Agreement created the Serb-dominated entity in Bosnia and Herzegovina), but in entrenching the dehumanisation so deeply that even today I will face a "progressive", young educated person who will jokingly post songs like the one Tarrant listened to in his car on the way to the massacre. What, it is just a joke! would be the response if one brings attention to the genocidal call weaved into the lyrics. If you carry a Muslim name and engage in discussion on the underlying causes of war, you are likely to be told that we (Bosnian Muslims) are basically the spawn of Sultan Mehmed (the Ottoman conqueror of Bosnia) and thus deserve all we got ever since this conquest. When discussing how was it possible that extermination was normalized, how is it possible that in today’s Bosnia and Herzegovina we have people in power like Milorad Dodik (Serb member of BiH Presidency) who refer to muezzin's call as "howling" that drives property prices down, or relentless revisionism and dehumanization of Muslims in the media, the go-to response is "we didn't start the war, it started in 1941, 1918, 1389..." Yes, today, in 2019, this is still the justification for the virulent dehumanisation that now drives killers targeting Muslims globally, like Breivik and Tarrant. And this is why Karadžić's legacy must be confronted in its most destructive form. Our collective goals must centre on how to humanize the dehumanized, how to restore some degree of normal communication that will acknowledge and reject this poisonous legacy. This can’t be done by adopting a victim mentality or equating all Serbs or Serb history with Karadžić's ideology and methods. That is precisely what he wants and what the likes of Dodik perpetuate. The judgment of Karadžić is not a judgment of Serbs, despite the relentless effort by the current Serb establishment to convince their people otherwise. Tarrant being inspired by Karadžić does not mean he was inspired by Serbs. Claiming this would be dehumanisation in reverse and precisely what Karadžić aimed for in his quest for separation of peoples. This is why I reject any triumphalism in the Karadžić verdict. To me, it matters primarily because of the facts and evidence that it has established in the trial process, that can help us understand his methods and the extent of dehumanisation, so we can deconstruct and delegitimize it, discard it once and for all. He will die in jail, that much is certain, but I do not want to spend another minute thinking about what happens to him. He has been present in my life for far too long. But his sentence signals the beginning of a new era in the history of my country. If we are to have a chance at successfully confronting right-wing extremism which looks for inspiration in Karadžić's crimes, we must first dismantle his legacy in Bosnia, at the source, where it has the most serious and tangible impact. And that is the most important value of the judgment for me.